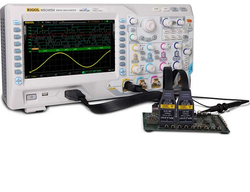 - Integrated View (iViewTM ) Capability Provides up to 5 GHz, 20 GS/s, and 32 Mb Analog Acquisition with a Stand-alone Tektronix TDS Digital Storage Oscilloscope. - Microsoft Windows 2000 Professional PC Platform Provides Familiar User interface with Network Connectivity. State Rate: 1Hz ~ 35MHz. Threshold Voltage: 6 independent and adjustable threshold voltages. Adjustable Range: -6V - +6V. OMEGA is a very powerful and fast, flexible, expandable, user-friendly and cost effective logic analyzer with extraordinary large event memory, efficient real-time hardware compression and complex trigger logic. 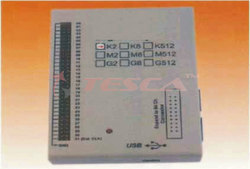 OMEGA operates on a High-Speed USB port and requires no external power supply.